The other day I was discussing calling a Web Service from BPEL that does not return a result or returns a result that you don't care about: a Fire-and-Forget Web Service. This is not a very common use case. Usually, you call a Web Service from BPEL and you use the result to determine what the next step will be, or you use the result to check that the call was successful. But that doesn't mean it never happens. Calling a Web Service that was generated with JAX WS annotations from a Java class that has a 'void' return type. Calling a Web Service that was defined top down with a WSDL with no output message for the operation. If you invoke this BPEL, there is no option to define an output variable, this field is disabled. Fire-and-forget Web Services are supported in BPEL, but only if the WSDL is defined as such. If there is a response, then you have to create an output variable. Which you can then use, or ignore. also with the mediator you also got a one.way.returns.fault property in which you can control to report back the soap fault, beside http code 500. 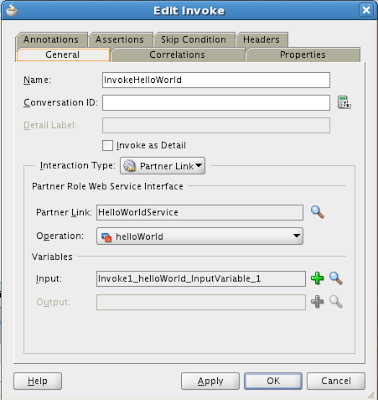 I am not giving advice in this post about when to use what, I was merely showing that you can use fire-and-forget web services in BPEL and that BPEL handles that as expected. You can get a better fire-and-forget behaviour from a JAX-WS service if you put a @OneWay annotation on the service method. This should result in the service returning a http status code reply only, instead of an empty soap envelope. thanks, that is a good point. 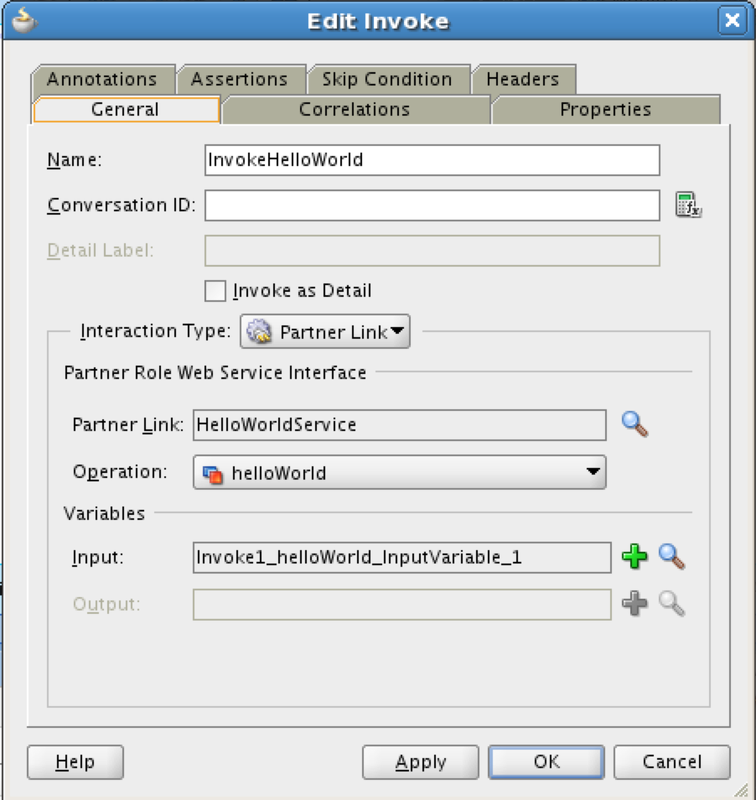 In that case BPEL would not require you to create an output variable on the invoke of the service.